When seeking a car loan, smart buyers always pay close attention to the price and interest rates. In order to pay an average car monthly payment, the principle should be low enough to enable you to lower your outstanding balance with a hefty down payment. If the interest rate is high, you can reduce your payments by choosing a very long repayment period or showing up with a hefty deposit. Why are interest rates and prices important? An expensive car attracts high monthly car payments due to principle. Interest rate determines how long it will take you to repay the loan. It also has a direct effect on your monthly installment. Why do most people want to know about the average car monthly payment? Because first-time car buyers don’t want to sign up for a repayment plan that they can’t afford. 3. Which external factors determine how much you should pay monthly for a car? 4. How can I get the average car monthly payment? In early 2018, Experian- a leading researcher in consumer and business credit habits nationally analyzed over four million car loans issued in 2017. The study reveals that an average buyer spends at least $31,000 on a new car. You’ll also notice that customers who recently purchased brand new cars prefer the 60-month repayment period. Tip: Is it Time for You to Buy a New Car? According to Experian’s car loan research, the average monthly payment is $515. Remember, Experian analyzed over four million auto loans and this makes their findings highly credible. On the other hand, one should consider that people with average or excellent credit scores receive more auto loans than those with poor credit ratings. Despite the availability of bad credit car financing, very few car dealerships sell new cars to consumers with subprime credit ratings. Tip: Can You Buy a New Car with a Credit Card? Truth is, most employed people cannot afford new cars due to high taxes and rising interest rates. That’s why used car sales exceed new ones by a huge margin. Did you know that 40 million used cars get bought every year? Only 14 million brand new cars get sold in America annually. In other words, new car sales only account for 25% of the market. Tip: Avoid These Top Car Buying Scams or Lose $1000’s! If you have average or excellent credit ratings, you should expect to pay at least $385 each month. Why? Because the average price of a used car is $19,800. Perhaps this figure seems a bit high, but according to Experian, consumers want used cars that are still hot in the current market. People want to enjoy the modern features that are relevant in today’s market due to several reasons. For instance, doing trade-ins in order to save money on the next car purchase. New or Used: Which Car is Right for Me? External factor refers to the forces outside your control that directly affect car prices. Interest rates tend to rise after every three years due to inflation. In 2015, the average new car monthly payment was $483. Three years later, this amount has increased by $40 and is expected to continue rising. If you bought a used car in 2015, you’d expect to pay $361. In 2018, used car owners with average or excellent credit scores pay $385 per month. When interest rates rise significantly, car financing gets costly because one has to pay a higher portion of the principle. For instance, if you buy a new car worth $20,000 at an interest rate of 12% over a repayment period of 60 months, your monthly payment should be $445. How much will you pay if the interest rate rose to 16% and other factors remain constant? $487. What is inflation? It refers to a general rise in the prices of goods and services within a specified period. Bad economic performance such as busts and recessions increase the rate of inflation because the dollar suffers lowered purchasing ability. That’s why people end up spending more money on commodities in order to compensate for the loss of purchasing ability. A high inflation rate directly affects car prices because dealerships have to spend more money purchasing inventory. In order to recoup their capital and still make good profits, car dealerships increase the prices of both new and used motor vehicles. When the economy is doing great, the rate of export exceeds import. The country earns more money than it spends and this boosts its currency’s purchasing ability. Is this a good thing? Yes, it is because we spend less for the same amount of goods and services. What happens when the rate of import exceeds that of export? It puts the economy in a bad place because we have to spend more money to afford the same amount and quality of commodities. How does this affect car prices? Auto dealerships are forced to spend more money to import vehicles and auto manufacturers have to deal with rising costs of production. If you’ve observed the automobile industry in the past decade, you’ll realize that there’s a massive shift to environmentally-friendly vehicles. It’s not just a mere trend because more and more people are ditching gasoline-powered cars in favor of bio-diesel and electricity ones. Even global oil producers have changed the composition of car fuels in order to comply with international carbon emission standards. The government imposes a high tax on cars manufactured more than five years ago because they’re not compliant with recently passed environmental standards. This tax increases car prices because sellers have to share the tax burden with their customers. A high price requires plenty of time to repay it. Each state has its own sales tax. In Louisiana, residents pay 10% while in New Jersey, its just 6.62%. Each product you come across in the market already has sales tax included in its price. It’s almost impossible to avoid paying for it. Even if you buy a car from a private seller such as a friend or relative, you’ll still pay tax at the DMV in order to get the car title switched to your name. If your state government decides to increase sales taxes by a huge margin, all local car dealerships will adjust their prices upwards. Why? Because the rise in sales tax affects profit margins. Despite the existence of highly reputable local auto manufacturers, there’s a huge demand for foreign vehicles. High-end buyers prefer driving luxury brands recognized internationally to enhance their status symbol. First-time car owners or newly hired employees go for Honda Accords and Toyota Camrys because they’re highly affordable and have low gas consumption rates. If Europe experiences a severe economic crisis, inflation rates rise and this affects the costs of manufacturing cars. Car dealerships will sell their cars at higher prices due to increased costs of purchasing and shipping each vehicle to the local market in America. Why? Because absorbing all the increased costs affects the dealership’s profits. A car loan calculator helps buyers to determine monthly payments that suit their budgets. You simply enter the auto loan’s value, down payment, interest rate, and repayment period. It’s advisable to always use the car loan calculator before applying for an auto loan in order to avoid committing yourself to costly monthly payments. The car loan calculator also helps you to confirm whether the payments printed in your repayment plan are correct. It’s possible that your credit lender might have made an error in their calculations. You don’t want to pay an overcharged loan because it affects you financially and has no effect on your credit ratings. Since car financing is a form of secured debt, credit lenders expect you to show commitment by paying a down payment. Doing this enables you to drive home in your new car, however, the title remains with your creditor. It also determines your monthly installments by reducing your auto loan’s outstanding balance. Make sure you save at least 40-50% of the car’s price before applying for a car loan. This enables you to get a good monthly payment because you can choose a short repayment period. The shorter your repayment period, the less interest you pay. One reason why some buyers default on their car loans is irrational purchase decisions. How? By purchasing a motor vehicle that’s beyond one’s financial ability. It makes no sense to buy a new SUV worth $40,000 when one earns less than $5,000 per month. Even if you pay 40 % of the SUV’s price up front, you won’t get monthly installments that are equal to or less than $500. Smart car buyers know that a loan’s principal determines one’s repayment period and installments. That’s why they always consult car loan calculators to assess how much down payment they need to get really affordable monthly installments. Car buyers with subprime credit ratings pay double or more interest costs compared to those with excellent scores. Credit lenders do this to recoup as much of their loan as possible because a poor credit score indicates a high risk of default. However, you don’t have to obligate to a bad credit auto loan because you’ll get better interest rates by taking some time to improve your ratings. How can you achieve this? You’ll need to borrow secured debts of small amounts then repay them on time. You might need to consult a qualified financial coach to help you pick the right debts in order to accelerate your improvement. It might take a year or two, however, the gains are worth it. Car sellers usually offer major discounts at the end of the month to attract potential buyers who’ve just received their paychecks. Why should you take advantage of such discounts? Because this discount reduces your auto loan’s principal by 20-30%. If you showed up with a 50 % deposit and happen to get a 30% discount, you’ll clear your auto loan in 36 months or less. Newly established car dealerships usually offer huge discounts for the first three months of operation in order to create brand awareness. You’ll get a variety of fantastic car prices usually not available in older dealerships. That means paying lower interest costs on your car monthly payments. 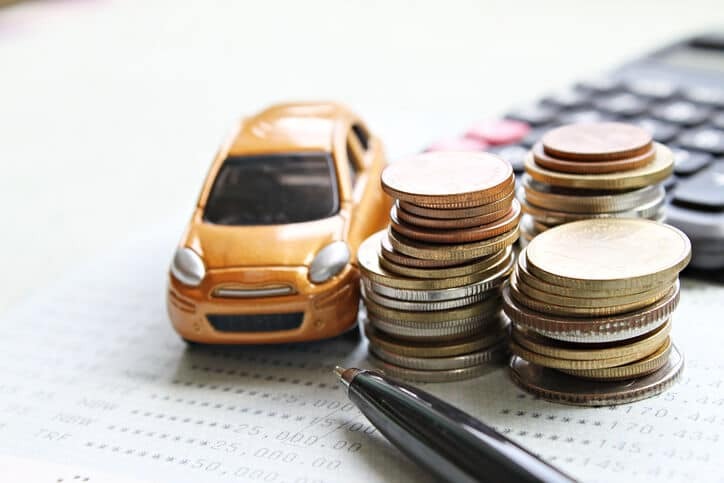 The national average car monthly payment will keep on rising due to the six external factors you’ve read about in this post. The good news is that you can still pay $500 dollars every month by picking a new or used car that matches your income. If the current interest rates are too high for you, you can wait for a decrease or consider doing a cash purchase to avoid paying any interest.